Revolut is a bit of a weird one. It emerged at the same time as the rest of the UK’s app-based challenger banks, like Monzo and Starling Bank, but has tread a completely different path. Unlike its biggest rivals, Revolut has fingers in a lot of pies. Beyond its current account offerings, it also does cheap international money transfers, and lets users buy and sell cryptocurrencies. And now, the company is launching a commission-free share trading platform, allowing anyone to invest in listed companies, without paying steep fees. Revolut also wants to let users purchase other instruments like ETFs (exchange traded funds) and options. Essentially, it’s trying to copy and paste the formula that made Robinhood a success in the United States, and bring it to its European heartland, where the lion’s share of its two million users are based. 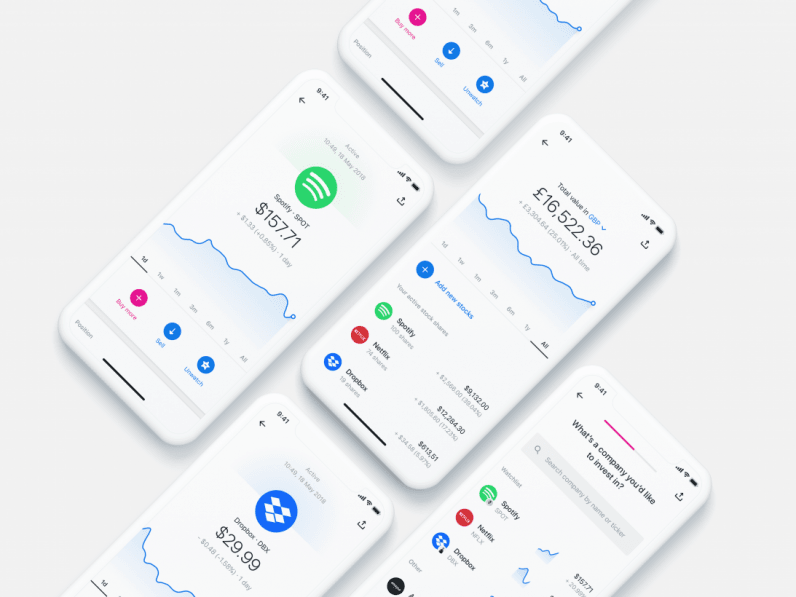 Revolut hasn’t offered a release date for when users can expect the feature to drop, but says its “actively working” on it. “Brokers are charging people as much as £5.00 per trade and the user interfaces are typically clunky, slow and confusing for consumers. The pain points are clear for us and the room for improvement is massive,” he added. It makes sense that Revolut will allow users to make more conventional investments, after having previously allowed users to put their hard-earned cash into the Wild West that are cryptocurrencies. Moreover, allowing users to buy shares through their smartphones without having to pay any commission or brokerage fees has the potential to radically change how ordinary people invest their money. In the same way someone might chip £100 into their savings account at the end of the month, they just as easily might throw that into the stock market.